A few weeks ago, writing about Antony Polonsky’s history of Eastern European Jewry in the late nineteenth century, I remarked on the way that American Jewish nostalgia and guilt towards the vanished “old world” makes it difficult for us to see that world as it really was. 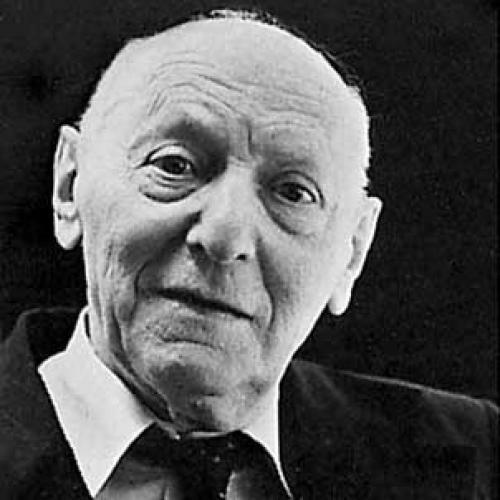 The reputation of Isaac Bashevis Singer, whose novel The Magician of Lublin has just been reissued on its fiftieth anniversary, is one a major example of this kind of confusion. A large part of Singer’s popularity is certainly owed to the way he lends himself to being read as a folklorist, writing about dybbuks and holy fools in an age-old Jewish landscape. That the world he wrote about, and the Yiddish language in which he wrote, were practically extinguished in the decade after he came to the United States in 1935, only increases the sense that he was a messenger from another world. Look a little closer, however, and it becomes clear that Singer, far from being gentle and grandfatherly, was as shockingly modern a writer as Dostoevsky. He is a chronicler of spiritual disintegration, exploring the devastating effects of appetite and passion—even of thought itself—on souls unprotected by faith. When devils appear in his work—as in the great story “The Gentleman from Cracow”—they are not quaint folk-devils, but figures of genuine, terrifying evil. And in his post-Holocaust ghost stories, such as “A Wedding in Brownsville” and “The Cafeteria,” he seems to transcend parable, as if only the literally incredible—a party full of murdered Jews who do not know they are dead, the appearance of Hitler in a Broadway café—could be adequate to the unbelievable truth. The Magician of Lublin may not exactly be “a lost classic,” as the cover of the new paperback claims—it went through several editions in the 1960s and 1970s, and was even made into a movie in 1979, starring Alan Arkin. But its re-publication is still very welcome, because the novel is one of the clearest examples of the ways this modern urban intellectual writer makes use of the materials of the Jewish past. Take the title, which sounds like it could be a Hasidic folk-tale about a wonder-working rabbi. In fact, Yasha Mazur, the title character, is a magician in the sense that Harry Houdini was a magician: he is an acrobat, a contortionist, and an escape artist, who performs at theaters around Poland while he dreams of making it big in Western Europe. Another way of putting it is that he is an impostor, using sleight-of-hand to show people the kinds of miracles they so desperately want to believe in. In this way, Singer suggests, the magician is a stand-in for the novelist, whose powers of imagination are also a kind of secular enchantment. Yasha serves Singer in much the same way that Moses Herzog served Saul Bellow in Herzog, a novel published a few years later: as a surrogate self, a way of turning his own experiences and reveries into fiction. Certainly the plot of The Magician of Lublin is one that must have resonated personally for Singer, since it is substantially the same as those of Enemies: A Love Story and Shadows on the Hudson: a man suffers a spiritual crisis as he juggles love affairs with three different women. When we first meet Yasha, he is at home with his wife, the pious Esther, who “wore the customary kerchief and kept a kosher kitchen; she observed the Sabbath and all the laws.” But, crucially, she is unable to have children, and Singer makes much of the fact that Yasha has never assumed a father’s stake in the community. He remains a kind of overgrown child himself, only dropping in on Esther for a few days between performing tours. And once he is back on the road, his assistant Magda, a Polish Gentile, doubles as a common-law wife—so much so that her mother treats Yasha as practically a son-in-law. As the novel opens, we learn that this comfortable quasi-bigamy has been upset by Yasha’s love for a new woman, Emilia, a professor’s widow who lives a precariously genteel life in Warsaw. It is clear, in the way of a fairy tale, that each of these women also represents (a little too tidily, perhaps) a particular fate: if Esther is Jewish tradition and Magda is artistic bohemia, Emilia represents bourgeois striving. Unlike Yasha’s other lovers, she will not sleep with him until they are married, and she will not marry him unless he converts to Catholicism, takes her away to Italy, and works towards becoming famous and respectable. In Warsaw, wooden sidewalks were ripped up, interior plumbing installed, rails for horse trolleys laid, tall buildings erected, as well as entire courtyards and markets. The theaters offered a new season of drama, comedy, operas, and concerts…The bookstores featured newly published novels, as well as scientific works, encyclopedias, lexicons, and dictionaries. As it turns out, the novel has a different ending in store for Yasha. His sins will be punished by death, but not his own; and the guilt of this culminating tragedy will drive him into an act of penitence that recalls both the legends of the Baal Shem Tov and the stories of Kafka. The dark power of The Magician of Lublin is nowhere clearer than in its instruction that, for a modern man, to return to God may require a decision as violent and frightening as any crime. Adam Kirsch is a senior editor at The New Republic. This piece was originally published in Tablet.